Last March, my husband accompanied me to the needlework show at Woodlawn and was very patient while I closely inspected the entries. Afterward, we went to a nearby needlework store where he spied a stitched model of Ink Circles "99 Bottles" on the wall. While I would have glanced at it and wandered away, he was quite taken with the design. As you can see, the chart came home with us. I put a few stitches in and went back to other projects. Soon, there were questions about when the bottles were going to be finished, and soon after that, pointed questions about how many bottles were done. 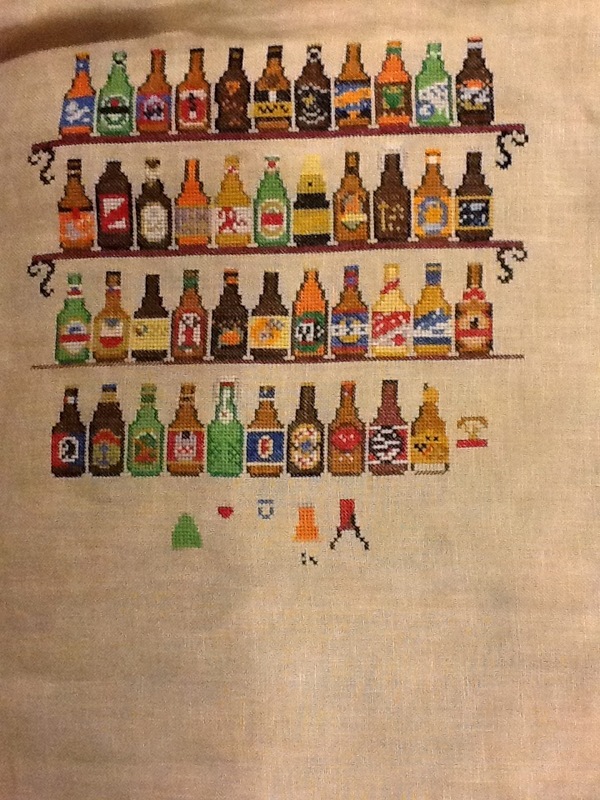 So I am currently stitching one bottle a day with the goal of being finished by the end of March. This is actually turning out to be quite colorful and it's fun to have a little finish every day.